Contractors use all sorts of vehicles not just to travel to client’s homes, but also to carry their tools of the trade. This is especially true for landscapers that rely on specialized equipment to keep lawns, gardens and backyards looking fabulous. 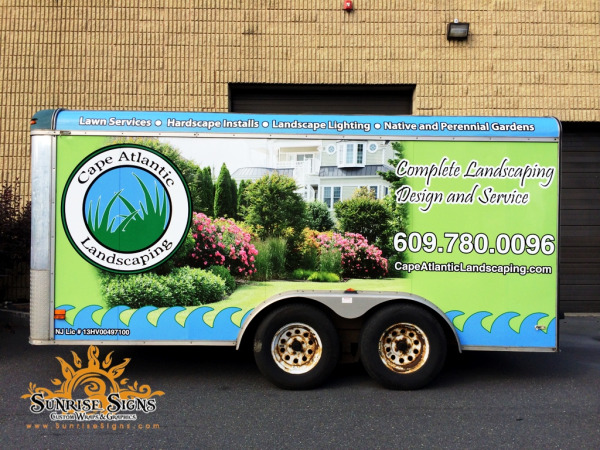 When Cape Atlantic Landscaping of North Cape May, NJ came to us with a cargo trailer, we were happy to help.